Vest panels have foam "buttons"
Now you can dress up as the one and only author of Fantastic Beasts and Where to Find Them! 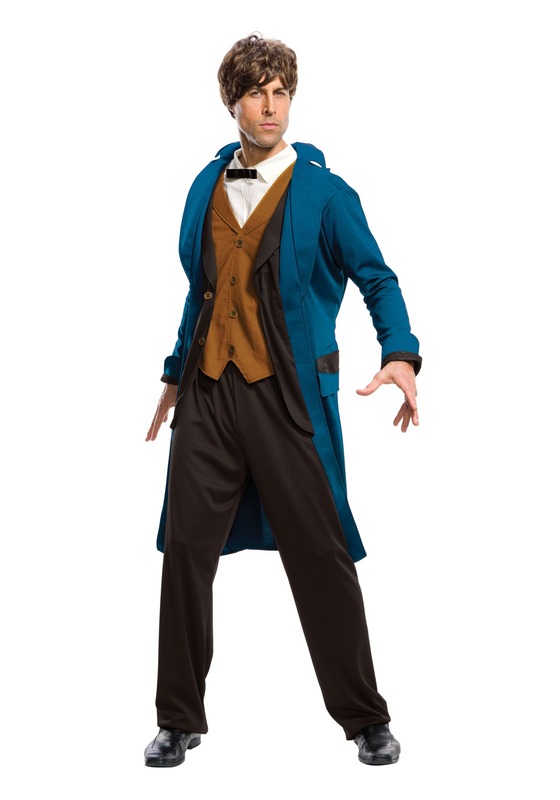 This adult Newt Scamander costume is an officially licensed costume from the Harry Potter universe and makes for a great look for anyone who's looking to get into the wizarding world. It comes with a coat with and attached shirt and a pair of pants. You'll be ready to wizard it up in no time! ?